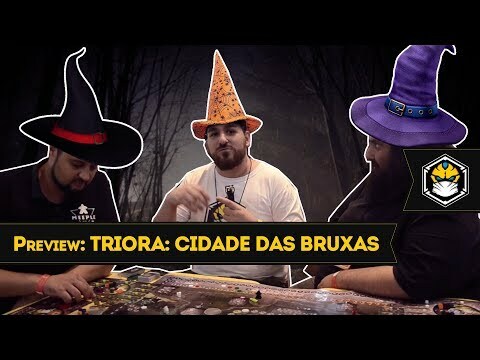 Triora is a "Euro" style game where each player will play as a Witch, in the Italian city of Triora, trying to achieve vengeance against the city that burned their leader. The Witches will compete to destroy the city, and the one the brings to most ruin to it will be accepted as their new leader. To bring ruin to Triora the Witches will use herbs to make potions and spread plague and curses to the different places in Triora's region, wile they flee from the Inquisition that are hunting the then. To aid the Witches the spirit of their old leader still hunts Triora, guiding then to achieve their vengeance. 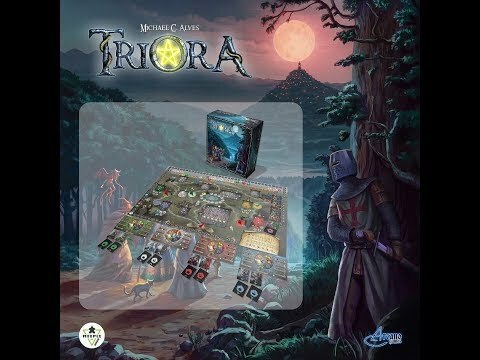 Triora has a mechanic focus on resource management, without influence of luck, and with good tactical deepness. The players will not affect each other directly, but their choices of play have great influence to the strategy of their opponents. Each game is unique because the movements of the players create different tactical positions on the board that has great influence over each other player strategy, making the ability to think ahead and predict your opponents plays the way to win.